On Thursday, the Superior Courts Rules Committee decided to put an end to the compulsory wearing of wigs by judges in the higher courts, and the move was signed into law by Justice Minister Alan Shatter that night. The BBC immediately reported that the decision was a consequence of the budget deficit, since the word ‘Ireland’ never appears in a story internationally these days unless accompanied by the words ‘IMF’ and ‘bailout’ . “Ireland to scrap judges’ wigs to save money,” said the BBC headline, with every appearance of poking fun at Paddy’s hare-brained ideas about austerity. This seemed a bit of stretch, cutting hair to save a bob, but look here, have you seen what these wigs cost? The change in the law governing judges’ attire will save the state €2,200 per judge, it was reported, since that is the cost of each of their wigs. First of all, hang on a minute: we’ve been paying for their wigs all this time? Second of all, how much did you say? A price of €2,200 for a wig that might get you through your chemotherapy treatment as gracefully as possible, that might be understandable, but €2,200 for a bit of grey matting barely big enough to cover the average judge’s pubic patch? That’s too much toupée. 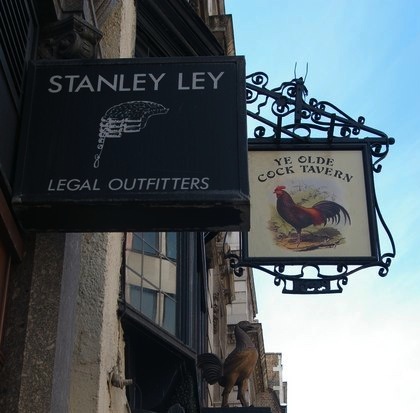 The wigs are made in London, and a quick search of the internet will turn up the website of one of that city’s best-known legal outfitters, with an establishment at Fleet Street. You can order your wig, made “in the traditional manner” from horsehair, online. Try it for yourself. They come in light grey or, interestingly, in blond, which was more than likely the favoured option of the permatanned Celtic Tiger-era female judge, now extinct. Sizes range from a lowly 54cm all the way up a whopping 64cm, to fit the judge who is more than usually proud of his record in administering jurisprudence. They cost stg£1,549.99 which, at the time of going to press, is the equivalent of circa €1,775, so we’ve been had in more ways than one. At any rate, from now on, judges will be able to decide for themselves whether or not to wear a wig, which means that technically they now have the same freedom as the rest of us. In practice, though, it means judges, like the rest of us, will actually lose the freedom to wear a wig. Because unless you’re a country singer, or a transvestite, or medically bald, wig-wearing is just not done, and that is a great pity. It would have been better for judges had they gained the freedom to wear any wig of their choosing – for instance, a Cher wig. That is a freedom to which we all aspire. Those judges who want to persist in the custom will presumably have to pay for their own wigs from now on. And just in case the referendum on judges’ pay should go against them in a few weeks’ time, they should be made aware that you really don’t have to spend two grand. Perhaps the market will now be flooded with unwanted wigs, and démodé judges will be able to pick one up for a snip. Time was when retiring judges passed their old wigs down to their grandchildren, but young Ferdia won’t be needing it now, even if he ever does finally pass the King’s Inns exams. So either they will perch their wig comically atop the stuffed and mounted stag’s head in the billiard room, or they’ll stick it on eBay. Failing that, another cursory search of the internet yields some quite edifying instructions on how to make your own imitation forensic wig for not more than €10. All it takes is a few metres of polyfill wadding, a pair of scissors and some glue. Of course you will also need some time to spare, but you may find yourself able to muster one or two free hours while the courts are in recess. A REWARD has now been offered for information that might help crystallise matters in the case of the abandoned bottles of urine in Cork. 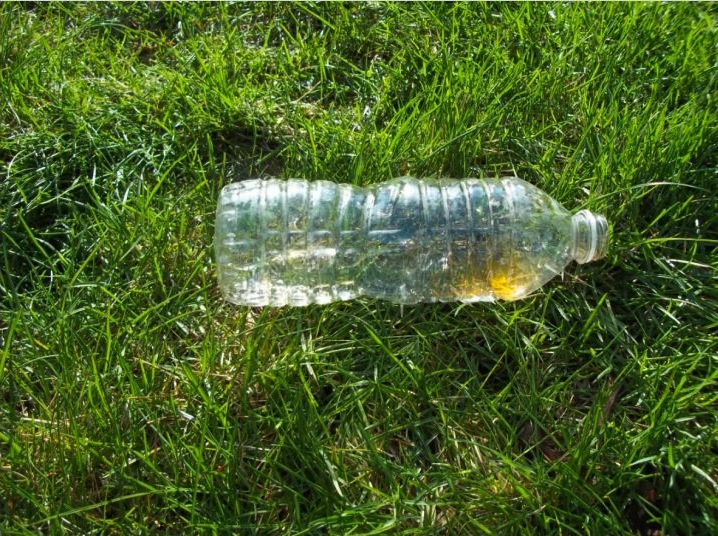 First of all, 62 plastic Coca-Cola bottles full of urine were found in a ditch in Glanmire at the end of September. Then, last weekend, another 175 similar bottles were found nearby, amounting to a total of 237 bottles. Who indeed? Well, as Sherlock Holmes would have it, once you’ve eliminated the impissible – sorry, the impossible – then whatever remains, however improbable, must be the truth. The British actress Sarah Miles, star of Ryan’s Daughter, has drunk her own urine for decades, believing it has health-giving properties. This means that, even if we can’t eliminate any other suspects in this inquiry, we can at least rule out Sarah Miles, since she should have wanted to keep it if it were hers. But everyone else, with the possible exception of Madonna, who is said to piddle on her own feet on purpose, must remain under suspicion for the present. Lant was also used for making gunpowder, and in that light, the cache of pee bottles can be viewed as a sort of pre-industrial arms dump. This must raise the possibility of an alarming new line of inquiry in relation to the find in the Rebel County. Urine the army now, if you will. Admittedly this is not all that plausible. But supposing it is all the work of one person, then you can’t help feeling some sympathy. After all, when you get tired of your collection of blue Spode, for instance, or Chewbacca action figurines, or 78s, getting rid of them is a simple matter. You put them on eBay. Even other, less desirable collections can be easily disposed of. Students find they can often simply walk away from a history of amassing traffic bollards, just by moving to a new flat. And when you finally acquire your 2,000th rubber duck, you can always organise a charity rubber duck race, and watch your tiresome collection float downriver under the guise of altruism. Or consider the case of Edward Lovett, who collected hundreds of revolting objects from various Londoners in the last century, including shrivelled moles’ feet and shrunken sheep’s hearts. Lovett’s collection of amulets went on display at the Wellcome Collection in London this week, which goes to show that anything can become fascinating if you wait long enough. Those of us who keep taking up new hobbies and then getting bored with them find our houses filled with inadvertent collections. Spools of candlewick here, bags of felt there, an archery set, Cantonese language discs, a Hammond organ… they supply daily evidence of our shameful want of commitment, and it would be no surprise if we wanted to get rid of them. But the person who finally grows out of collecting their belly button fluff or, as in this case, their pee, faces a more intractable problem. Even the most committed egotist will realise that nobody is going to want to take that off your hands – certainly not in Glanmire, at least. There may be people in California with an interest in acquiring other people’s belly button fluff or fermented urine, but there can be no such person in county Cork, and long may it remain so. Clearly, then, the culprit believed they had no option but to dispose of their unwanted pee collection in secret. The only question that remains is why did he or she not empty the bottles down the toilet first? There can be only two possible answers. Either the culprit is all piss and vinegar, and left the cache as an eloquent statement of their misanthropy and ill will. Or they are even now laughing into their flavoured ale, and claiming a €50 reward from the Cork Independent.